What are Shared Languages Program Courses? Shared Language Courses are designed to expand the language course offering for students from participating colleges. These courses increase course choices both vertically, i.e. courses beyond the elementary language level, and horizontally adding breadth and variety to students’ choices of language and content courses on the intermediate and advanced level. The first SLP courses will be available in Arabic and German offered by faculty from various GLCA colleges in the Spring of 2017 semester. Students from guest colleges will join host college courses via video-conferencing synchronously and will meet asynchronously with students enrolled in the course in small group and partner work settings. Who can take SLP courses? Enrolled students from any of the 13 GLCA institutions are eligible to take these courses for credit. Prerequisites apply according to how the course is listed. Where will I find SLP courses? Course instructors will list their courses both in their home and guest institutions’ schedule of classes under the respective language offerings. The guest student’s language professor collaborating with the host school’s professor will announce these course offerings to his or her students before and during the course registration period of the guest students’ institution. Students will register for these courses at their home institution during the regular registration period as they do for their other courses. SLP are identified as such and come with a course number assigned by the home institution to match their degree course requirements. Students need the approval from their home Registrar to complete the Shared Language Registration/Drop Form (please find the Student enrollment form here). The host campus registrar will create a guest student record for each enrolled student with a minimum information aggregate about the student (name, home campus, SSN, email address, home address). The guest student form will be made available by the home campus’ mentor. How do I drop a Shared Language Course? Each student will have to follow the add/drop policies of the host institution. Students need the approval from their home Registrar to complete the Shared Language Registration/Drop Form. Where can I find the host institution’s registration and add/drop dates? These will be listed on the host instructors’ course syllabi and on the bottom of this page. How many credit hours do I receive? The number of credits the host college will assign for any given course is the amount of credits that will show up on a student’s transcript. For example, if a Denison student enrolled in a 3 credit course at Hope, they would earn 3 credits upon successful completion, not 4. The course credits gained at the host institution count toward students’ semester full-time enrollment credits at their home institution. What is the cost of the SLP courses? There is no additional cost. The course offerings are based on a reciprocal system. The student will pay his/her fees on the home campus as if it were a class offered there. This way, a student’s financial aid will not be impacted. The rules of the home campus regarding limit of credit hours per semester apply. How do I participate in the host course? 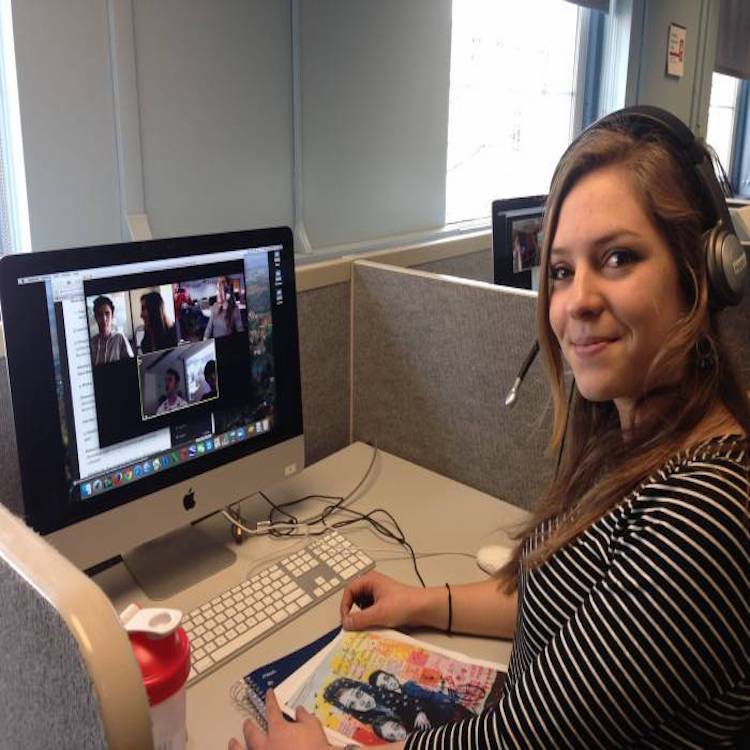 Guest students from their respective home campuses join the host course electronically via video-conferencing by invitation from the host instructor. 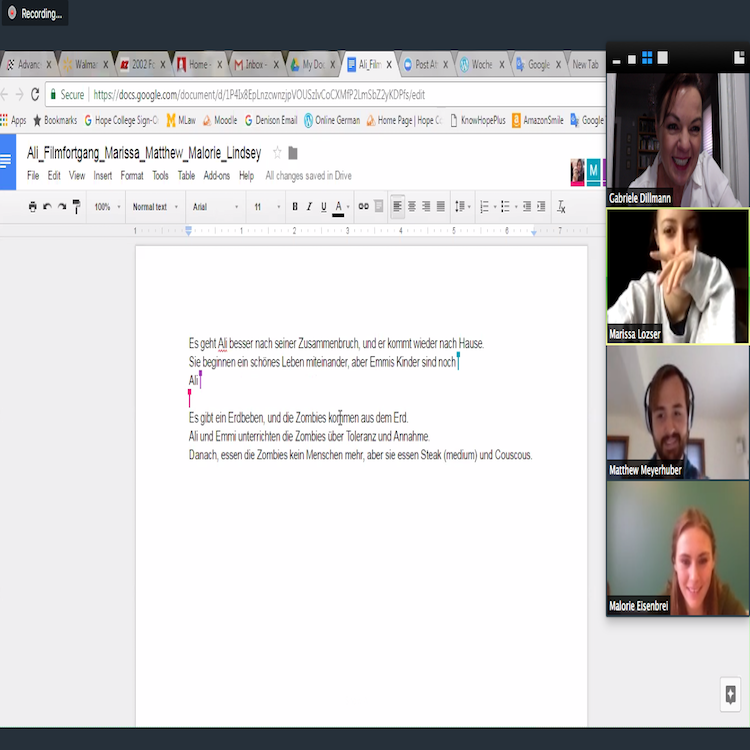 Currently, we are using Zoom (zoom.us) for synchronous (in-class) and asynchronous (outside of class time student teams) class meetings and projects. Students may connect from any place that is quiet, well-lit, and has a reliable network connection. If connecting from a public lab, the student should wear a headset with a microphone. Guest students will meet with their course instructor via Zoom before the class to discuss technological details after students setting up an appointment via email. The student will follow the syllabus and course requirements (expectations, grading policies, number of credits, attendance) set forth by the instructor on the host campus. The meeting days and times of the host course apply to all students. It is each guest student’s responsibility to come to class according to the host institution’s semester schedule. A semester may begin a little earlier or a little later than at the guest student’s home institution. This is also true for institutional policies – all enrolled students are bound by the policies set forth by the institution in which they enroll. Examples for such policies are academic integrity, absence rules, disability, reporting on sexual assaults, etc. How do I get a grade assigned? The host instructor is responsible for assigning a grade just like for any other student in the course. The host instructor’s grading policies apply to all students. The instructor will submit all grades to the local registrar, who will then submit the grade to the student’s home institution. Can I take a SLP course as a Pass/Fail? The hosting institution’s policy applies here as well. For Denison these rules apply: Juniors and seniors may elect to take one course per semester utilizing the Satisfactory Grading option. For a student earning a “C” or higher, the Registrar will convert this grade to an “S”, for “satisfactory”, with no impact on the cumulative grade point average. For a student earning a “C-” or lower, the Registrar will record that grade on the academic transcript, and it will be included in the grade point average. This option may not be exercised for courses within a student’s major or minor field. Courses taken for an S/U option can not fulfill any General Education requirements. To exercise this option, a student must submit the appropriate form to the Registrar’s Office no later than the fifth week of the semester. No approval is necessary from a department or program or instructor, and a student is not required to inform the instructor about exercising this option. satisfactory-grading-contract-form. Whom will I be able to contact about the course on my own campus? Each student will have a mentor on his/her home campus (in most cases their language faculty) who will communicate regularly with the host professor and check in with the student about his/her progress in the course. What kind of access to resources will I have? A course webpage will be created for each offered course by the host instructor, containing logistical course details, syllabus, expectations, rubrics, reading materials, links to resources, etc. Hosted students – just like on campus students – may choose to communicate with instructors and classmates via email, Zoom, texting, Facebook, etc. Each student will be able to record, review, submit video material either from individual exercises or group projects. Google schools will make use of their Google drives, others may use alternative programs such as Dropbox. Required textbooks will be listed on the respective course syllabus. Guest students need to contact the instructor to get early access to that information.